There’s no doubt that converting two garage doors into one can certainly be an investment, but for many families, it is an investment well worth it. When considering the option of replacing two garage doors with one, it is important to know the advantages so that you can make the most appropriate decision for your lifestyle and budget. 1) Double garages allow for wider vehicles and give apprehensive drivers a boost in confidence. The space that can be created from converting twin garage doors into a larger single door is great for parking sizeable vehicles. 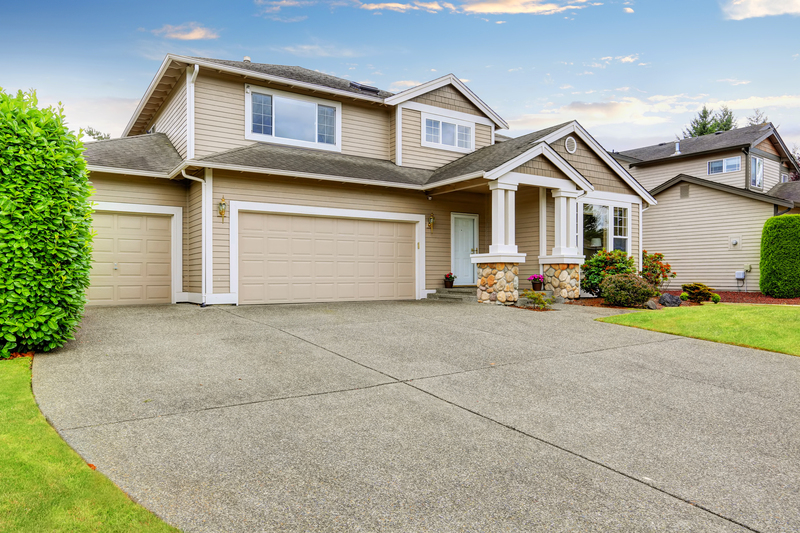 Additionally, one larger garage door undoubtedly provides nervous drivers with a peace of mind, providing more wiggle room when pulling up or back into the garage. That means no more dents or scratches to your vehicle. 2) Double doors provide more walk-around space. Turning two single garage doors into one not only makes getting your vehicle into the garage easier, it also provides comfortable walk around room. Those entering or exiting the garage on foot can more comfortably walk around vehicles or storage. 3) One large door can be more affordable than two. While the process of converting two into one is an investment, it pays off in the long run. From the outset, installing one larger garage door is more cost-efficient than installing two separate garage doors. Beyond that, maintaining one is easier and more affordable than two. While there are many how-to guides demonstrating how residents can convert two garage doors into one without the help of professionals, our advice is: don’t. Amateur conversions may be tempting as they suggest an ability to keep costs low, but if mistakes happen due to inexperience and lack of knowledge, the price or repair or replacement can indeed be costly. All the same, injuries are frequent–that’s why we encourage homeowners to take advantage of TGS professional garage door installation, backed by our risk-free guarantee! Once you make the decision the rest is easy… TGS Garages & Doors takes care of everything from start to finish. Our professional design consultant will help you with the selection of your new doors, our in-house architect will tend to the drawings and your dedicated customer care rep will ensure your drawings, permits & application are complete on time & on budget. Call TODAY and take advantage of our Free Permit Package coupon. The permit package includes architect drawings, application processing and permit fees – this makes it hassle free and you SAVE $425! If you’d like to talk with one of our experts today about converting your single garage doors into a double, contact us and we’ll be happy to share our know-how and provide you with a high-quality customer service.